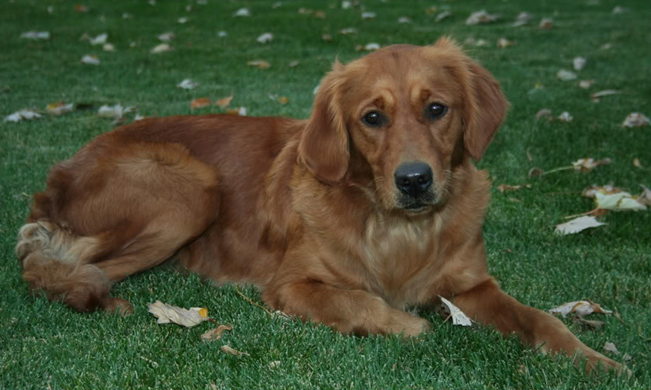 Bailey is a great-looking female Golden, who is eager to please and very birdy. She is extremely social and intelligent. 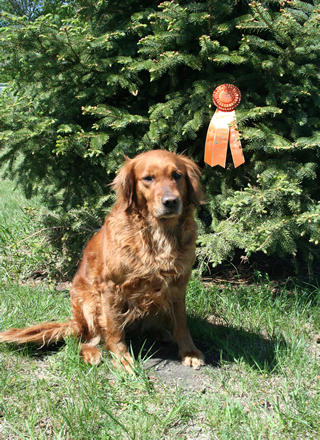 An excellent hunting companion, she spent the fall retrieving hundreds of birds; in addition, she does well in hunt tests and is a Master Hunter. She enjoys hunting, both waterfowl and upland. Also, her offspring are doing so well that she has earned her Outstanding Dam title. Master Hunt test passes--Summer 2013 and 2014; Only needs one more to be a Master Hunter. Earned Senior Hunter title at 2012 GRCA National Specialty in Weldon Springs, MO. Junior Hunt Test Title before 1 year old. Various placements at informal trials.